The ability to attach multiple accounts to a main account which is managed by a portfolio manager has become a familiar fixture within FX companies worldwide, however its existence is largely attributable to one particular pioneer within the industry, Dmitry Orlov. 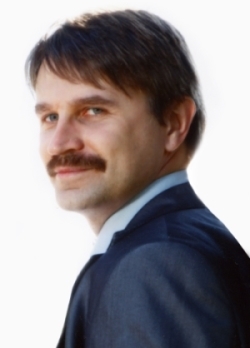 During Mr. Orlov’s career, he spent time at Alpari, a period during which he was instrumental in the development of the PAMM account, a concept which was duly adopted by many FX firms in order that they may offer portfolio managers a suitable platform to which multiple client accounts may be traded in unison by an experienced trader. In this week’s Forex Magnates Executive Interview, Mr. Orlov explains the rationale and functionality behind his new venture, Strategy Store. Please detail your professional background, and how you arrived at your current senior position at Strategy Store. I graduated from the Moscow Institute of Electronics and Mathematics and have been working in the IT sphere for 17 years now. Got addicted to financial markets in 2004, first as a trader. Before I joined Alpari, and started the PAMM accounts project, the situation in the Russian Forex market differed a lot from the situation nowadays – civilized asset management systems for FX didn’t exist then. There was just the so-called “black asset management”, where people gave their money privately to “managers”, and then some of them disappeared with the money, while others just lost it and were threatened by investors demanding their money back. I was lucky to join Alpari in 2007 and get the chance to develop the PAMM accounts project from scratch. By that time I already had a pretty big experience as a Manager and as an Investor and I understood well what both parts needed. I was full of ideas how we could change the situation, and it has worked. The market has accepted the new approach to interaction between Managers and Investors. After a few years of success in the Russian market I concentrated on expanding the PAMM service as a B2B solution for brokers worldwide. Unfortunately it was a dead end due to regulatory issues in many jurisdictions. Thus, I decided to leave and implement my ideas and goals in a new service suitable for regulated jurisdictions. I started a new project – MyInvest. The investor’s condition was to develop from scratch and launch the product within half a year. It was not possible to develop a standalone fully functional platform within this timeframe, so we decided to make a solution based on MetaTrader’s platform. We were negotiating with Metaquotes creating a special type of orders in MT. But it coincided with the launch of their own signal service and the plan for collaboration with Metaquotes and integration with MetaTrader came to a dead end. We rearranged the plans and developed a solution on MT plugins. However we didn’t reach an agreement with the investor with regards to the course of development, terms and financing of the project, and I had to leave. After that and I took a trip to Crete where in the silence I developed the first version of the core for a trading platform of new generation. Upon establishing Strategy Store, what did you initially seek to achieve and how did you set about achieving it? I am just moving towards my goal – creating a transparent and reliable service for investors of the whole world, watching over their interests first of all; a service that can recover trust to the Forex industry. At the same time, I am aiming to make self-trading easier and more efficient. We can see the evolution of programming languages from procedure oriented model to object oriented model. Since object oriented languages appeared, they have gained a big share of the market due to their simplicity and possibilities of rapid applications development. Although it does not mean that procedure oriented languages died, a lot of people still use them, for example because of better performance. But the general public prefers using the new model in most situations. Another example is iPhone which has changed the trend of the evolution of cellphones. Instead of the model of small phones with small clumsy buttons, now we have the model of much bigger phones with incredible possibilities! And it’s important that some usual devices like musical players, photo cameras and others which also used to be far from perfect are now naturally integrated with phones into one device, and they get a new life there due to integration with social networks and other cloud technologies. I believe that trading platforms and autotrading are on the same evolution stage now that programming languages and mobile phones were before the new models appeared. We are in need for a model that will naturally integrate these parts into one new thing with a completely different approach. I call the model of general trading platforms “order oriented trading”. It means that you see your trading as a set of orders with certain parameters: price, size, etc. My vision of the new trading platform model is what I call a “structured trading” model. In the same way that an ordinary programmer doesn’t want to know the details of commands sent to the processor when his program is executed, most traders should not go into details of their orders, I think. It will be more convenient for them to operate higher level, more essential and understandable terms. The main things are where a trader wants to enter and exit the market and what he is ready to risk, i.e. what amount he is ready to lose in the worst scenario. This is what a trader should concentrate on. A trader looks at a chart and sees a favorable opportunity for opening a trade and what stresses him out the most when he wants to open a trade. The most annoying thing is choosing the lot size. Experienced traders can accurately set the lot size based on their rules worked out in years, but for the majority of users this is a more difficult issue than choosing an entry point and setting the stop loss and take profit levels which they can see visually. In order to set the lot size, substantive calculations are needed. At the moment of opening a position, a trader should not think about the lot size and the risk in this deal. He should think about this in advance, as is right and proper in accordance with his strategy’s rules. It is well-known that a trader himself is his main enemy. Psychology turns the most profitable strategies into losing ones, pushing a trader to violate even his own rules. This issue can be solved by dividing trading into a strategy and money management (MM). A strategy is just an entry, an exit, moving SL and TP. MM is managing risks and capital. A trader should set risks separately, in one window. And he should open a position in another window, with a lot size defined automatically according to the MM rules set by him. A trader is an investor of his own strategy. Trading statistics built without assuming the used MM, will be much more truthful and telling than ones mixed with MM. Moreover, taking into account compulsory SL and calculating the lot size based on the set SL, it is possible to get a lot of new information about trading results that is impossible to be obtained in the systems presented in the market now. The issue of strategies copying is naturally solved. A trader’s task is to give an investor an opportunity to rent a strategy, and the investor will set MM as he wishes. A trader should not decide for an investor what extent of aggressiveness in MM suits him. • Traders’ fee based on investors’ profit and not on turnover. These principles may give a new impetus to the development of Forex trading industry. As an investment platform designed for manual and just automatic copying, plus manual and automatic self-trading, automatic copying of trading strategies, how does this product define itself within the market, and does it bear similarities to eToro’s social trading ethos? Our business model is quite unusual. Due to the highest transparency of the rating, only a small group of traders who really get stable profit, will attract investments. The system doesn’t allow springing surprises, and in case of dropping profitability investors will just switch to another strategy without losing their funds dramatically, like it may happen in some other systems. Thus, this service cannot work with a broker’s market maker model. On the other hand, traders who systematically get profit, will not dispose themselves to execute their strategy in whatever suggested liquidity, since the market maker model often involves substantial worsening of trading conditions when an account is rapidly winning. In our view, we divide a broker in general, into a company attracting investors, doing KYC and accepting deposits, and a liquidity provider. Some brokers are able to attract lots of clients, while some others might have a great ECN aggregator with perfect trading conditions. Everybody should do what they are better at. If a broker has a perfect true ECN, that’s great. But if it doesn’t, then the ideal option for all participants is for an aggregated order not to go first to the broker and then to the counterparty, but to be sent from our platform directly to the counterparty. It works especially well with a common base of strategies, where investors of different brokers subscribed to the same strategy get the same execution price due to execution via a centralized counterparty. There is no risk of clients flowing to competitors since they get the same conditions everywhere using the common base of strategies. The broker gets a commission and doesn’t have to bother about risk management. Therefore, we are going to build a network of retail brokers, execution venues and a centralized institutional/prime broker providing a common base of strategies and possibilities of cross-broker execution in equal conditions for all investors. The scheme is a bit bulky, but it allows achieving the goal of creating a service with a positive feedback from the end users. This is the bottom of the iceberg which is not visible to the end users, but provides the required service quality. Subsequent to the public testing of the Alpha version of Strategy Store, what was the majority of the feedback centered on, and what core functionality do users consider most important? Mostly discussed were our methods of strategy performance analysis and building the rating of strategies. In our approach, in order to provide more accurate and truthful statistics, the initial value for rating calculation is the efficiency factor which is defined as the ratio of the profit in a deal to the set stop-loss. This parameter doesn’t depend on the trader’s MM and reflects only the deal “quality”, i.e. the correctness of the chosen entry/exit points and the set risk, thus it is a priority, an objective characteristic of a trader’s trading activity. This methodology eliminates fraudulent methods of “driving up” the rating (Martingale, opening opposite positions on parallel accounts, etc. ), this allowing to compare objectively trading strategies, including ones in different trading instruments. Since the rating based on efficiency factor, despite its advantages, is not easy to understand for a user who is used to “yield” terms, we calculate the yield applying the same money management to each strategy. At the moment, for building the yield chart, we apply risk per deal equal to 10% of investor’s deposit amount. Thus, we get a “familiar” yield chart showing potential profit in different trading strategies in “equal” conditions. The final yield values in the rating are adjusted by the amount of fee to the strategy provider. Therefore, one can see the real profit that could have been received in this strategy after paying commissions to the strategy provider, and the paid commissions separately. An investor can see more details for each signal if he wants. We calculate the performance of a single trade in efficiency points and not in pips. It’s close to the term pips, but it’s independent of instrument or price. Comparing results of deals in pips is a gross, although quite popular mistake. Calculating performance in efficiency points provides data of the strategy’s efficiency regardless of the used instruments, money management and psychological factors influencing the trading result. Another point that was paid special attention to is our order aggregation function due to which all investors (even registered with different brokers) subscribed to the same strategy are guaranteed execution at the same price with no extra latency, investors’ trading results are absolutely identical to a strategy provider’s trading results and are fully in line with the published statistics, while brokers do not get high workload on the dealing room from lots of small investors’ orders in the dealing queue generated by one signal. As social trading and copy trading platforms have become de rigeur as a tool for retail FX brokers to attract more new clients, and increase trading volume from that target market, do you think that regulatory authorities will begin to consider the signal provider that users can copy, as a financial adviser and therefore, require all signal providers to be regulated as financial advisers, and if this occurs, what methods will existing social and copy trading platforms implement to mitigate downtime, and ensure that volumes are continuing whilst signal providers apply for regulatory licenses, which take time? This would also mean that the existing signal providers, to whom traders are accustomed, would potentially be replaced and Know Your Client/Anti Money Laundering procedures would have to be conducted with clients wishing to copy trades. Do you think this would damage the social trading sector long term, or make it more sustainable? There is a probability that this sector might get regulated. It is not known exactly what the new rules applying to signal services could be. Probably some of these services might be affected more than others, maybe some of them will be prepared for getting regulated, and some of them not. Speaking about Strategy Store, we are a technology company providing a SaaS solution to brokers. However, if a new regulation comes out that affects us in this sense, we will be ready to apply for licensing. There will be some time frame before it comes into force, and we will be prepared and will know how to use this time window efficiently. Moreover, our platform gives an investor much more control over his account than any other signal service, i.e. investor protection is our main priority. As for KYC/AML procedures, in most jurisdictions they apply now to all brokers’ clients, including those using signal services. In light of the NFA Bunch Order Amendment to CFTC, and quite high probability that NFA could probe deeper into autotrading products, it’s worth mentioning how Strategy Store stands out as a solution here. NFA is concerned about allocation methods used in PAMM systems on managed accounts, that do not provide fair treatment to investors and do not ensure complying with their risk settings, i.e. activity on master account should be based on the specific needs of each sub-account, which is not perfectly implemented in the existing systems. Strategy Store naturally solves these problems. All investors set their risk and money management parameters when subscribing to a strategy they want to copy. The strategy provider/money manager sends signals to open and close trades, but he doesn’t set the lot size – he only sets a compulsory stop loss, and an optional take profit. Our platform calculates the lot size for each investor based on the set SL and the investor’s risk and MM settings, then an aggregated order is sent for execution, and the result is allocated to all investors’ accounts accordingly. – In case an investor manually closes an open position in his account, it does not affect the remaining investors in any way – the aggregated order is closed partially, just for this investor, and this investor incurs profit or loss in this position accordingly. – After opening a position the strategy provider cannot move SL towards higher loss, this giving an additional protection to investors. – An investor can fund or withdraw from his account, stop copying a strategy and close his positions at any moment, not depending on any actions by strategy provider. – Strategy Store provides a comprehensive reporting system ensuring an adequate audit trail of orders allocation. – If necessary, a broker can set compulsory minimum risk level for certain groups of investors based on the results of their suitability tests. I’d also like to note that Strategy Store could be a great solution for brokers using proprietary trading model, since via our platform the broker can set mandatory risk levels that a trader would not manage to break, and at the same time have powerful tools of analyzing a trader’s true performance. Over the last few years, an entire copy trading and social trading ecosystem has been built around brokers who use MetaTrader 4. Earlier in the year, when MetaQuotes issued a warning to brokers against using four social trading providers, some providers moved towards other trading platforms and distribution channels, whilst MetaQuotes has concentrated on its own system. Do you think brokers wishing to major on copy trading will use other platforms, develop integrated systems in house to rival Strategy Store’s offering, or will they reduce the emphasis on copy trading for fear of alienating clients who are already used to MetaTrader 4? Investors using copy trading systems are mostly people who do not know how or do not want to trade, thus they are most probably not used to any trading platform yet. They need an easy-to understand, reliable and efficient platform which they can use for investing their funds into financial market without necessity to operate difficult terms such as “lot”, “pips”, “leverage”, etc. At the same time, this platform should offer powerful analytics for those who want to probe deeper and manage the copying process. Clients want to get a convenient, transparent and reliable instrument to satisfy their needs. Brokers want to expand their client base and increase clients’ loyalty – this can be done by satisfying clients’ needs. I’ve already given an example regarding mobile phones evolution and appearance of iPhone – if a broker offers its clients a whole new efficient solution making their life much easier and helping them achieve their goals, will they prefer continue carrying several heavy and awkward devices in their pocket instead? As for in-house development of such a solution, it is a long and expensive process requiring lots of efforts and special expertise. Not every broker can manage it, and even if it can, there is not much sense if there is an off-the-shelf solution that a broker can get practically for nothing, implement in no time and start getting profit from it. Having been instrumental in the design of Alpari’s PAMM account system, what is the future for FX portfolio managers? Do you think brokers will continue to see them as valuable IBs, as they bring a large portfolio with a number of new clients at once, resulting in a large net deposit and subsequent trading volume? The market requires more and more transparency. Almost anybody who wishes to multiply their funds is ready to invest into profitable trading provided that there are reliable instruments guaranteeing transparency, safety of investments and investors’ control over their funds, particularly control over risk, aggressiveness, ability to stop trading on their account and withdraw funds or invest into a different strategy at any moment. Signal services are the next step of evolution of portfolio management in the Forex industry since they give investors a feeling of calmness and safety due to more control over their account. In order to become a new portfolio management industry standard, a signal service should be a convenient and reliable instrument not only forthe general public, but also for professional portfolio managers and management companies, and offer the advantages of “classical” portfolio management along with more comfort for investors. This product should combine the advantages of signal services and PAMM/managed accounts, while eliminating their disadvantages – this is what we are aiming to do in Strategy Store. I believe we see a tipping point in the relations between self-trading and auto-trading. Self-trading will stay the driver of the market, but its share will decrease to 5-10 percent of the total volume of brokers’ operations in a few years, while most of the trading volume will be done on investors’ accounts. Please elaborate on how being a pioneer of PAMM accounts has allowed you to see the pros and cons of the original Alpari design now that it has been available for some years, and how this helped you in designing Strategy Store based on experience, and what has been done differently, for what reason? As I’ve already mentioned, PAMM accounts a few years ago were a big achievement in the industry. However since then the situation in the market has changed quite essentially, and now one can see serious shortcomings that I aimed to amend in Strategy Store. These are regulatory issues, no investors’ control over their accounts, abilities to manipulate yield, and high spontaneity of managers’ actions causing heavy risk for investors. For example, a manager can risk all investors’ capital in one deal, or unexpectedly start trading gold in a EURUSD strategy, etc. But this project is like my baby whom I love no matter what. I still often read their forum and monitor the service. With the low spreads which portfolio managers require these days, how do you see remuneration structures changing in order for brokers to continue to attract portfolio managers with large client bases? Will a higher success fee be suggested, or will brokers consider sponsorship, or other means such as monthly consultancy fees instead of spread-based commission? I believe that the most fair remuneration system is a fee from investors’ profit. Spread markup deteriorates investors’ results, volume-based commission motivates the manager to trade more with no matter what result, monthly fees do not give motivation to profitable trading either. None of these remuneration systems, except success fee, considers the interests of the end customer – investor. Clients’ attraction is becoming more and more expensive nowadays, and client’s retention problem should be the main focus for brokers. I strongly believe that only orientation at the needs of investors can provide a positive feedback, i.e. clients’ loyalty, and consequently, long-term profit. If an MT4 broker currently offers its portfolio managers a MAM account, with IB commission for net deposit, volume (spread-based) as well as success fee chargeable by the portfolio manager to its clients, bearing in mind the popularity of the MT4, how can Strategy Store gain significant market share, and how is it capitalized when taken up by a broker? I strongly believe that substantial growth of the service can be achieved by orienting and the needs of the end customers – investors, since only in this case the service can get a positive feedback. Since we eliminate the possibility to manipulate yield and estimate trading results objectively, we will cut off a huge percentage of strategy providers because nobody will subscribe to them. The remaining ones will get the investments. The strategy providers set the fees themselves, and the set fees are immediately reflected in their performance graphs in the rating, i.e. a strategy provider can trade with higher profit and set a higher success fee, or trade less successfully and set a lower fee. Strategy providers compete not only in the quality of trading, but also in the fee size. Moreover, strategy providers trade at a broker’s standard conditions, without spread markup or additional commissions. Any worsening of trading conditions cuts off quite a lot of potential strategy providers. For example, if a trader’s average profit is half a pip, and we widen the spread by 1 pip, then the trader, instead of successful, will become a loss making one, and in this case everybody will lose – trader, investor, Strategy Store, broker, liquidity provider. We do not impose any commissions, our reward is a share of a strategy provider’s success fee, and a trader from my example can be useful in our scheme. Another type of traders are long-term ones. In spread-based commissions’ scheme they will not earn anything since they do not make a lot of trades. But they will have a chance to earn in our model. What regions are of most strategic importance to Strategy Store? The Alpari PAMM account began in Russia, and now has expanded into Europe, with Dukascopy’s recent take up in the form of JForex PAMM account being a case in point. Is China and Russia still the best market for automatic and copy trading with portfolio managers and IBs being trusted by the investors in those regions? We are planning to promote the product worldwide and expand our network step by step. Probably we will start with Russian brokers since Russia is one of the easiest markets for us, although it’s not strategical, and we consider to have our headquarters outside Russia. It is difficult to predict how the situation will develop further. What are the downsides for a trader of having a live MAM account, then connecting an EA to it, and using a tried and tested EA strategy, compared with onboarding with Strategy Store? Since Strategy Store is oriented first of all at satisfying the needs of investors, we aim to gain a substantial base of investors who will prefer our platform to MAM due to reasons already stated above. A trader who has a tried and tested strategy, will be able to register in Strategy Store and send signals to our platform, thus attracting additional investors and getting higher profit from his strategy. What are your plans for Strategy Store in the coming year? At the moment, the prototype of the copying service is ready and those who wish may test this approach. It is presented in a primitive interface, just for testing the core functionality. Planned and currently being developed are self-trading functionality, lots of additional functions and possibilities of the system. The interface is being worked out. One of the interface features will be the possibility to send signals and open trades by gestures just from a chart on your iPad screen, for example. This will essentially simplify the interaction between a client (especially a novice trader) and the platform. The system will be ready for the first public launch in the beginning of the coming year, there are brokers showing interest in launching the platform, however it may be a little delayed as we are in straits for money and are looking for raising investment for further development of the project. At the moment we have to bootstrap. For example, just two laptops are used as the data center. In addition, we are going to work out a training course for novice traders based on our approach. We have written the first edition of the course material – it is our book called “Structured Trading and Investments”, in Russian at the moment. Another plan is to introduce interactive analytics via our platform where investors can see a chart with an analyst’s forecast statistics, subscribe to it and get the signals automatically executed, paying a fee to the analyst in case of getting profit. It’s very far from the analytics model presented in the market now – just fuzzy phrases with no instrument to track the forecast results, pick up worthwhile analysts and follow their recommendations automatically, while efficiently managing the risks. As for further plans, we are not going to stick just to Forex market, and are planning to introduce the same approach to stock and commodities markets at a later stage.